Snow, the frozen crystal form of water, is amazing. It is beautiful to look at blanketing the ground, but even more stunning up close. Its six sided form is a lesson in molecular chemistry and geometry. 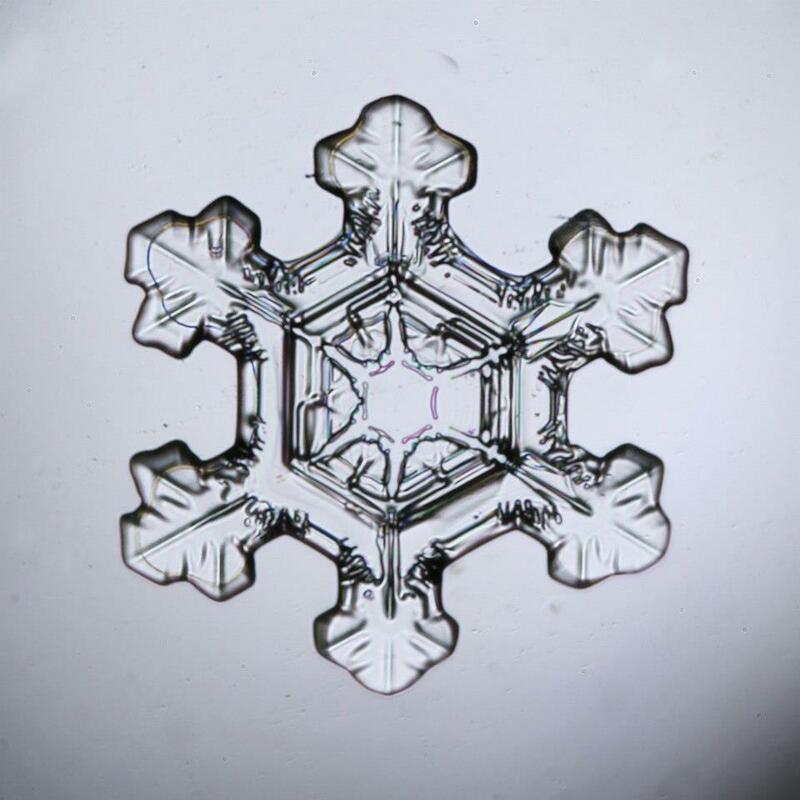 The six sides of a snow crystal are caused by water’s molecular structure. Its two hydrogen atoms flank its one oxygen atom at an angle that forms a “V’ shape. The hydrogen end of the water molecule is slightly negatively charged, while the oxygen end is slightly positively charged. The polarity and shape of water molecules cause them to bond to each other in such a way that they form a specific pattern with six-sided symmetry. You can see this symmetry in each and every snowflake. Other molecules have the same type of symmetry and can form crystals when they bond together. When you are learning about snow, sometimes it is interesting to study these other kinds of crystals. Capture snowflakes. On a snowy day, take a black piece of construction paper outside and let it acclimate to the outside temperatures. When the paper is the same temperature as the outside air, hold the paper so that snowflakes can land on it. Quickly, take a hand lens and observe what you’ve captured. Take note of its shape and its pattern. Read about Wilson “Snowflake” Bentley. 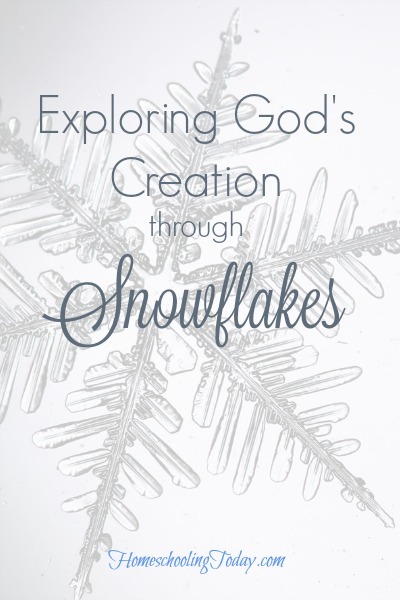 Check your library for books about Snowflake Bentley, a man who devoted a great deal of his life to photographing snowflakes and offering scientists the first detailed study of snowflake diversity and structure. Create your own crystals. Dissolve 1/3 cup borax in 2 cups hot water. Pour water into a glass jar. You can add food coloring if you want something other than white crystals. Bend a pipe cleaner into whatever shape you want (as long as it will fit into your jar). Hang your pipe cleaner suspended by a popsicle stick over the mouth of the jar. Let the jar sit overnight. In the morning, carefully remove your pipe cleaner shape covered with crystals. Make a paper snowflake. Go old-school and cut folded paper to create a snow flake. Experiment with your folds until you create a six-sided snowflake. 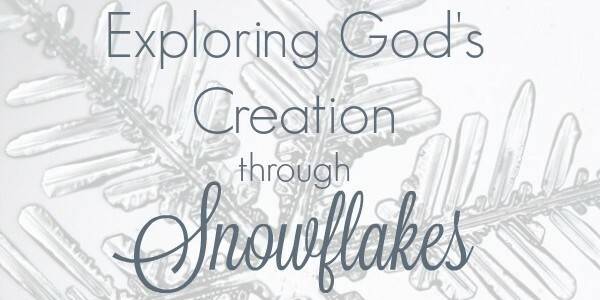 Create snowflake crafts. 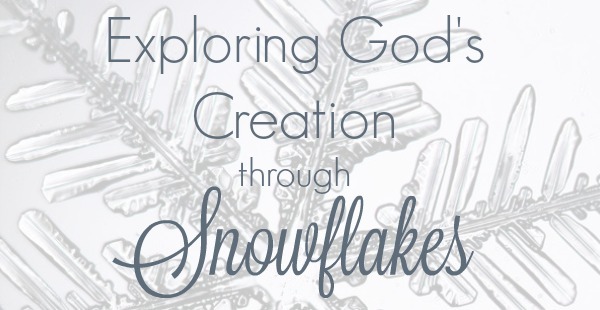 Get creative and see what kinds of snowflakes you can make with what you have around the house. This article was originally published in the Winter 2015 issue of Homeschooling Today Magazine. Subscribe today!